At Capo Spartivento Lighthouse, the most southerly point of the island, you will feel absorbed into a wild and unspoilt natural landscape. 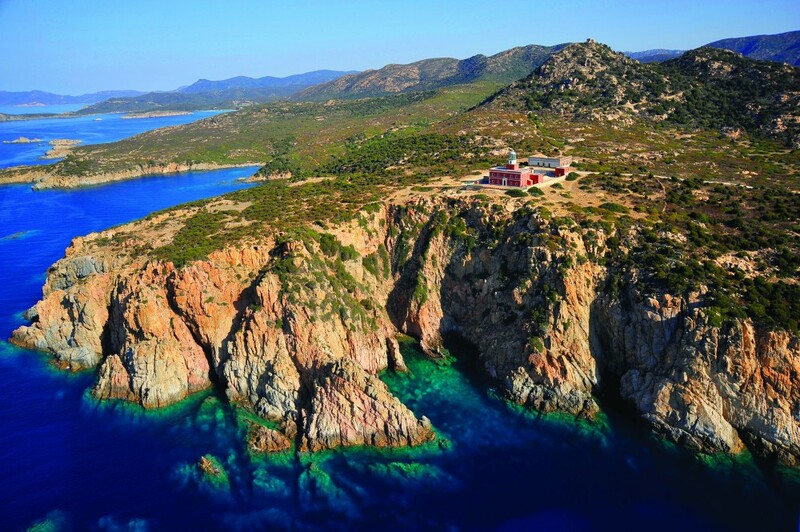 You will live a luxurious Romantic holiday in south Sardinia with an unbeatable panoramic view over the Mediterranean, over sandy beaches, crystal clear water and enchanting scenery, you will witness some spectacular sunsets from your the luxury hotel. You will discover Cagliari, Sardinia’s most important economic, touristic and cultural centre, overlooking the Golfe des Anges. The heart of the town, the historic area of Castello, is enclosed by the old town walls, including two towers: San Pancrazio and L’Elephant. Capo Spartivento Lighthouse is situated in the most beautiful part of Cape Teulada and offers a magical panoramic view over the turquoise sea. In this isolated and protected setting, you will be able to appreciate the silence and to allow yourself to unwind in a charming and exceptional hotel, right inside the lighthouse! 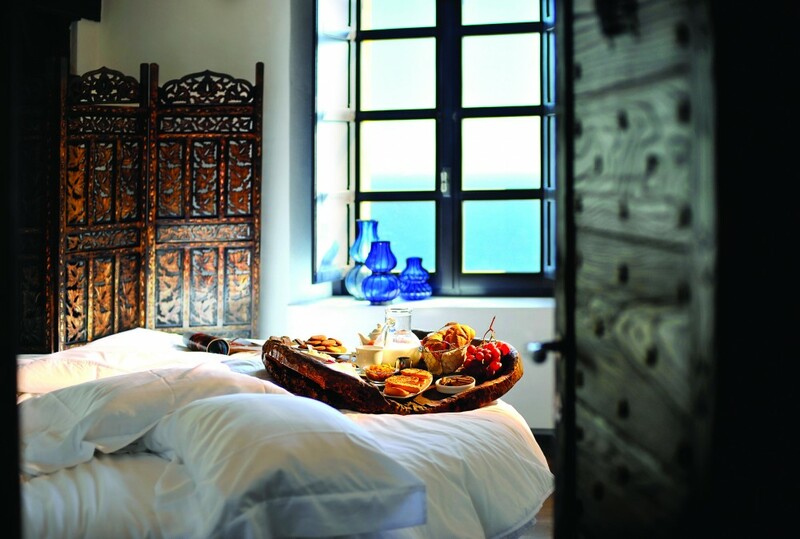 Begin your adventure by plunging into the colours and scents of the Mediterranean. You can hire a mountain bike, or take a walk amongst the archaeological sites and natural beauty of the area, before enjoying some delicious regional food. You can choose to relax at the hotel or to set off early in the morning across the aromatic scrubland to the beach at Cala Cipolla, where the sand and rocks blend together with the crystal clear waters of the Mediterranean. The fine white sandy beach lies tucked away in a narrow bay, bordered by dense vegetation, pine and juniper trees. 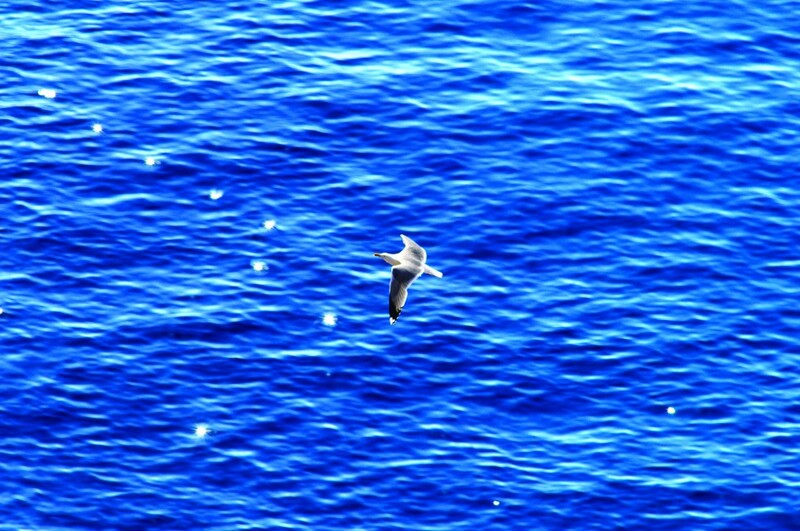 This is one of the best places for diving in the whole of Sardinia: don’t forget your snorkel! Cape Teulada offers you the chance of trying out a variety of sports: sailboarding, deep-sea diving or mountain biking along the coast as far as the beach at Tuerreda. Or you could go on a trip by jeep to various archaeological sites on the island or along the coast of Costa Verde to Piscinas, one of the most beautiful protected beaches on the island. This desert of sand dunes, some of the highest in Europe, stretches for several kilometres. These yellow-ochre dunes, their contours modelled by the Mistral wind, are covered by Mediterranean vegetation, juniper and ancient olive trees. At certain times of the year, taking great care as you terrain and its protected fauna, you can catch sight of deer heading for the beach, and sea turtles. If you go for a dive, you will be able to see the remains of a British shipwreck with its canon and cargo of lead, lying deep on the sea-bed for hundreds of years. Change of scene in Calgliari! This is a lively town with an attractive cultural heritage. Spend the morning wandering around the Piazza Yenne, relax in one of the local cafes and then head for Castello, one of the oldest parts of the town, and on to the ramparts of the 12th century church, where you have a view over Cagliari, from San Pancrazio tower as far as Saint Remy bastion. You will find yourself back near the 14th century Royal Palace, a historic building and the former residence of the representatives of the King during the periods of Aragonese, Spanish and Savoy rule. It is now the seat of the provincial government. Continue on to the Santa Croce Basilica, a vast church. The Citadelle des Musees houses four different museums so, depending on your tastes, you can choose the one that inspires you the most: the Art Gallery, the Museum of Archaeology, the Museum of Siamese Art or the Susini Collection. Today will be devoted to visiting some beautiful sites around Barumini, such as the exceptional Nuragic fortress of Su Nuraxi which was built between the 12th and 16th centuries BC. The largest Nuragic site in Sardinia and indeed, the whole world, it is a classified Unesco World Heritage site. The next place to see is the Capa Zapata. This building was constructed during the 17th century by the noble Spanish family of the same name. During its restoration, the mansion was discovered to have been built on top of the well-preserved remains of a nuraghe known Nuraxi ‘a Cresia! 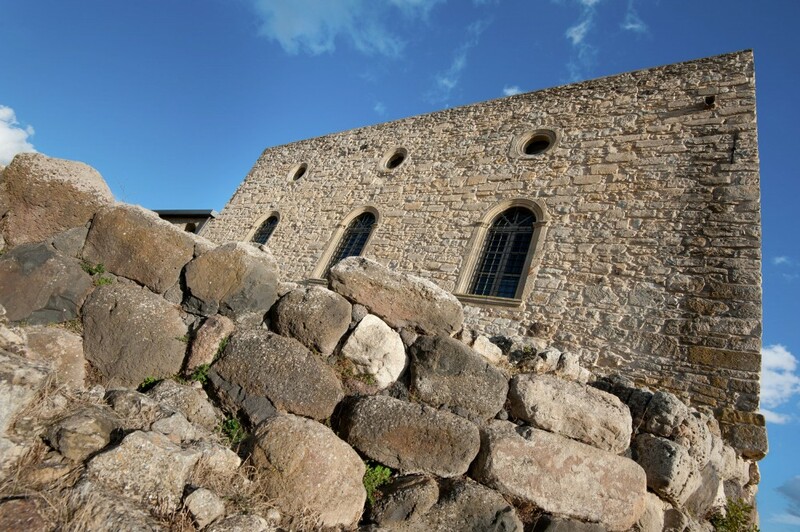 The manor house and the nuraghe have been converted into a museum with three sections: archaeological, historical and ethnographical. 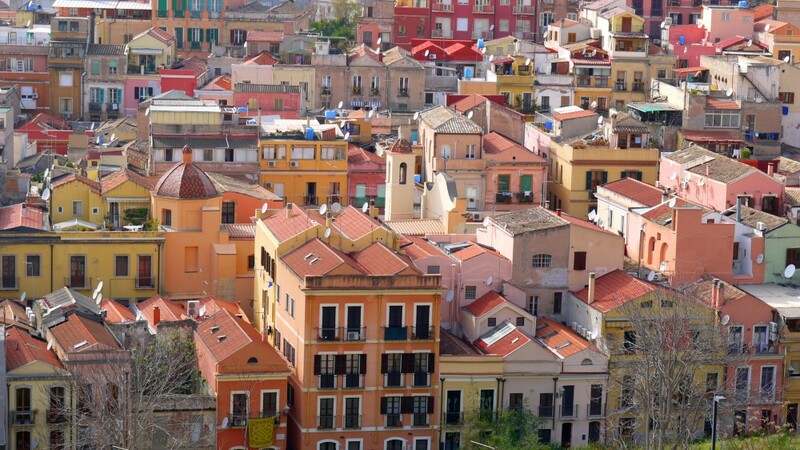 A return visit to Cagliari which cannot fail to charm and surprise you! You will discover Stampace, the old neighbourhood of artisans and traders, but where there are also the remains of a Roman amphitheatre dating back to the 3rd century BC., half buried in the rock, the other half white limestone. The amphitheatre where fights took place (gladiators….) could house up to 10,000 spectators, nearly one third of the inhabitants of Cagliari in Roman times. You will enjoy walking alongside the Marina, through the charming ancient fishing village to Villanova, the old part of the town which sheltered strangers and their pastors in times gone by. Last of all, feel the benefit of a walk or a bike ride to Poetto beach, Cagliari’s main beach which stretches for miles. At the far end is the Montargius Regional Natural Park, one of the important humid zones in Europe and a nesting site for pink flamingos since 1993: a beautiful sight! Before leaving the island, we recommend that you have one last look around Cagliari to savour its local artisan and gastronomy produce. Sardinia knows how to pamper you and leave you with unforgettable memories. Arrival and Departure: the nearest airport is Cagliari but you can arrive to Olbia airport or Alghero airport. The nearest port is Cagliari but you can arrive by Santa Theresa, Olbia, Cagliari. Transfers from/to airport, tips, personal extras, anything not mentioned in the program.